Our Newest Addition… That Darn Pig! 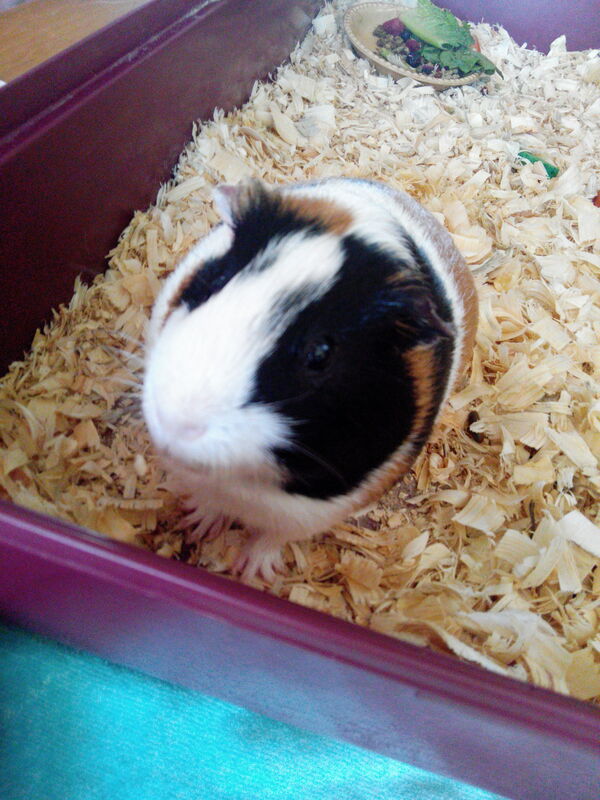 Ok, so my daughter has been wanting another Guinea Pig. We have had then in the past but she is ready for her own. Now before we go on and someone, who like me, thinks these store bought cages are not big enough, and the pine bedding is horrible, and so on, continue on. I will just say this is the cage and supplies he came with from his previous owner and it is not what he will be living in. So drum roll… here is “?” I don’t know his name yet. We are not sure of his age since apparently he has been passed around, but that stops here. He is a little booger and a bit nippy so I would say that is why he was passed around. Its so sad. With lots of patience and love, he will be a fine boy. We are learning he is most moody towards the evening so if we want to handle him, we have to do it in the morning or day hours. He has been eating low quality foods (from local pet stores and the big blue store that begins with a W) but that is about to change. His new diet is awesome and that comes from Small Pet Select www.smallpetselect.com and he is chowing down on his new Timothy Hay and Timothy Hay based Pellets. His only eating issue he has has to do with not eating any real foods. We have only convinced him to eat carrots. We have offered fresh fruits and veggies but he is not interested. So we will be working on that so he will eat healthy and live a long life. Once we get moved he will be getting his new home built. It will be approximately 3′ x 5′ and will be enough room for him to have a friend. Until we can get his new home made, he will be living in a Midwest Guinea Habitat Plus which will keep him happy for a while. Though this new little guy has some challenges, he will be happy and taken care of and won’t have to worry about a new home again. He seems to be mostly comfortable with us despite his nippy behavior. We don’t want him to be passed around any more. PS: I am just linking to sites I like, I am not an affiliate. Thank You! 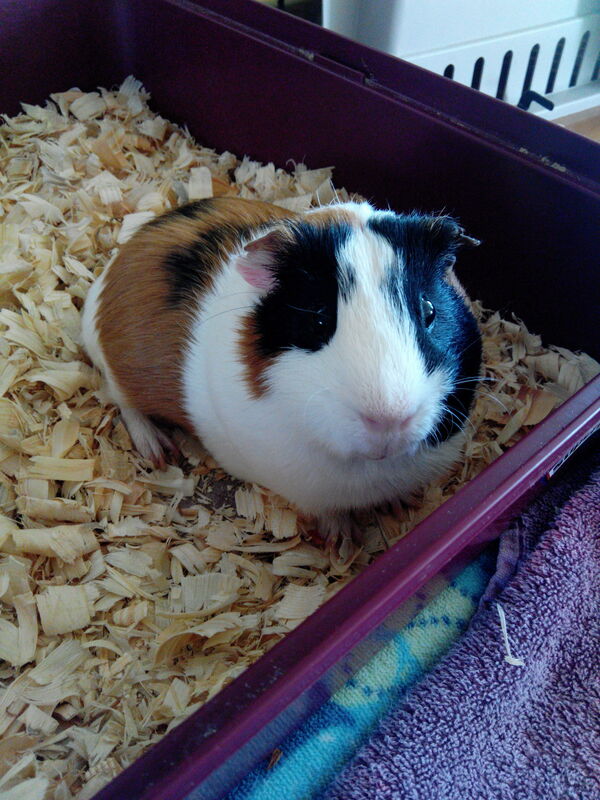 This entry was posted in Guinea Piggy, Home/Family, Photography and tagged C&C Cage, Guinea, Guinea Pig, home, Pet, Pig, Small Pets, Timothy Hay. Bookmark the permalink.